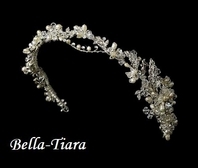 Description: This unique crystal and pearl bridal white or ivory ribbon headband will look stunning on any classic, modern or vintage inspired bride with a white gown. 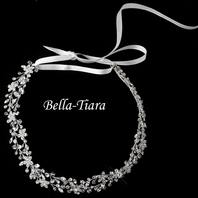 It features a white or ivory ribbon adorned with crystal rhinestones, crystal beads and white faux pearls. 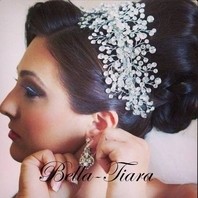 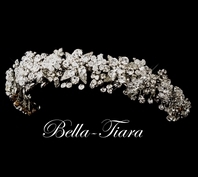 This unique headband elegantly wraps around your hairstyle and offers a gorgeous elegant touch!